HowMechanismWorks ? : How Clutches Work? An automobile has to operate under varying load conditions on the road. It may be noted that when starting engines and also during gear change,it is necessary to cut off load upon engine.Clutch is a mechanism which enables the rotary motion of one shaft to be transmitted,when desired, to a second shaft the axis of which is confident with that of first.And it is a device to continue or discontinue load on the engine as necessary to slove these problems. through the clutch,to the transmission and power train. 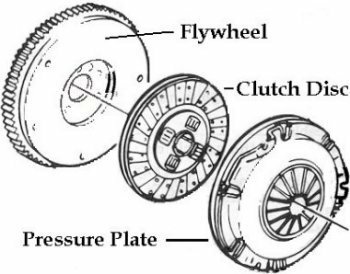 The main components of a clutch are engine flywheel, a friction(Clutch) disc, and a pressure plate. The flywheel is connected to the engine crankshaft. When the engine is running, the flywheel is rotating. The pressure plate is attached to the flywheel and thus it also rotates. The frictiondisc, which is splined to transmission main shaft, is located between the two. 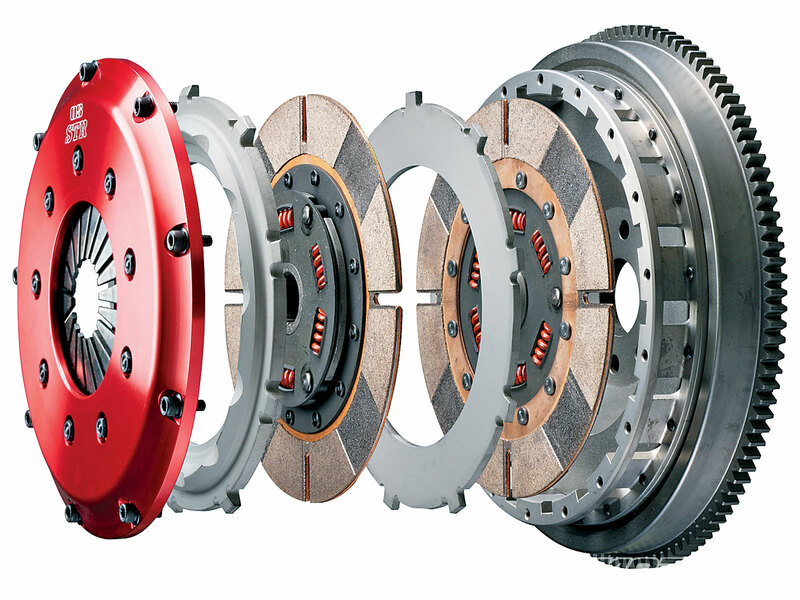 Friction Clutches may be further divided into Dry or Wet type. Most present day cars use Multiplate Clutches.